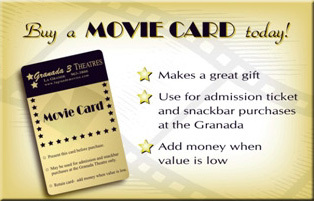 The Movie Card makes a great gift for any occasion. You can use it to purchase both admission tickets and snack bar items. Also, you can add money to the card when the value is low. 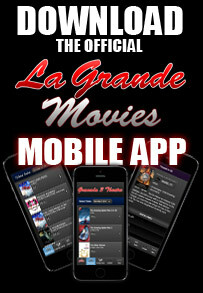 Buy a Movie Card today at the Granada Box Office!